Inside: Seeing the movie Peter Rabbit with your kids? Here’s what you need to know before you see it with your kids to help food allergy kids stay safe. My son has severe, life-threatening food allergies. He is allergic to peanuts, tree nuts and sesame seeds. Eating even the smallest amounts of these foods is a one-way ticket to the emergency room and a guaranteed shot of epinephrine with the hopes that it’ll be enough to keep his airway from swelling up. 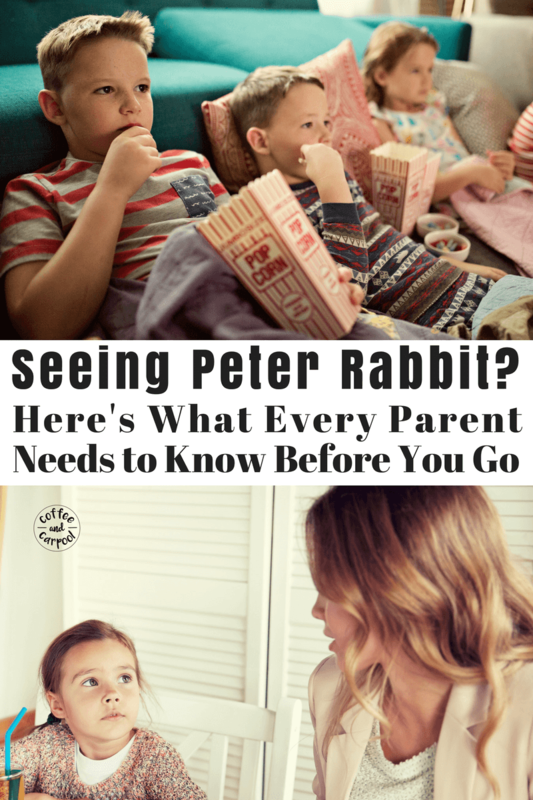 So while I can usually keep my anxiety at bay about it, the release of the feature film Peter Rabbit–that I was going to take my son to go see–has raised some huge concerns and red flags for me. It’s garnered so much national attention, Good Morning America interviewed me about it. You can watch the interview here. So, I wasn’t going to give the movie studio my money. I wanted to send a message with my pocketbook. But I wanted to be better informed. So I just saw Peter Rabbit. Without my kids. In the movie, Mr. McGregor happens to have a food allergy to blackberries. The rabbits know this and think it’s hilarious. Peter Rabbit even begs people not to write him letters with a wink to the camera after a distasteful joke about food allergies. And since they’re trying to get rid of McGregor, the rabbits decide to throw blackberries at him, aiming to get one in his mouth. They practice with blackberries and slingshots, over and over again. When the rabbits are ready to “Advance to the Endgame,” they pelt him with what he is allergic to. Blackberries. In a particularly terrifying moment, McGregor goes into anaphylaxis and has to EpiPen himself in the leg to save his own life. He struggles to breathe and stabs himself in the leg with life-saving medicine. And they show it all while the bunnies cheer. I don’t find this remotely funny or humorous and it’s definitely not a joke. Not to me and not to my son with food allergies, and not to the 1 in 13 kids with food allergies. While my children will not be seeing this movie, I am in no way asking you to make the same decision. There are boycotts being organized and petitions if you want to sign them. But what I am asking you, is to please have a conversation with your kids about the scene if you go and see the movie. And have a conversation about this even if you’re not seeing the movie. Please remind your kids that it is never OK to tease or taunt somebody who has a food allergy with the food that they are deathly allergic to. It is a severe form of bullying that is extremely dangerous. Kids have been rushed to the hospital and have died because their peers think it’s funny. And kids who either didn’t know how severe this is or didn’t care are being criminally charged. Peter Rabbit condones the funniness behind bullying someone with their food allergy. So if you choose to see this movie, please take the time to remind your kids it’s not funny. No part of this is funny. Food allergy parents and their kids everywhere will thank you. Want to know more about food allergies and how to be an ally? Here’s what you need to know to save a child’s life. Update: Sony has since released an apology to the Food Allergy community. And this apology. Is it enough? 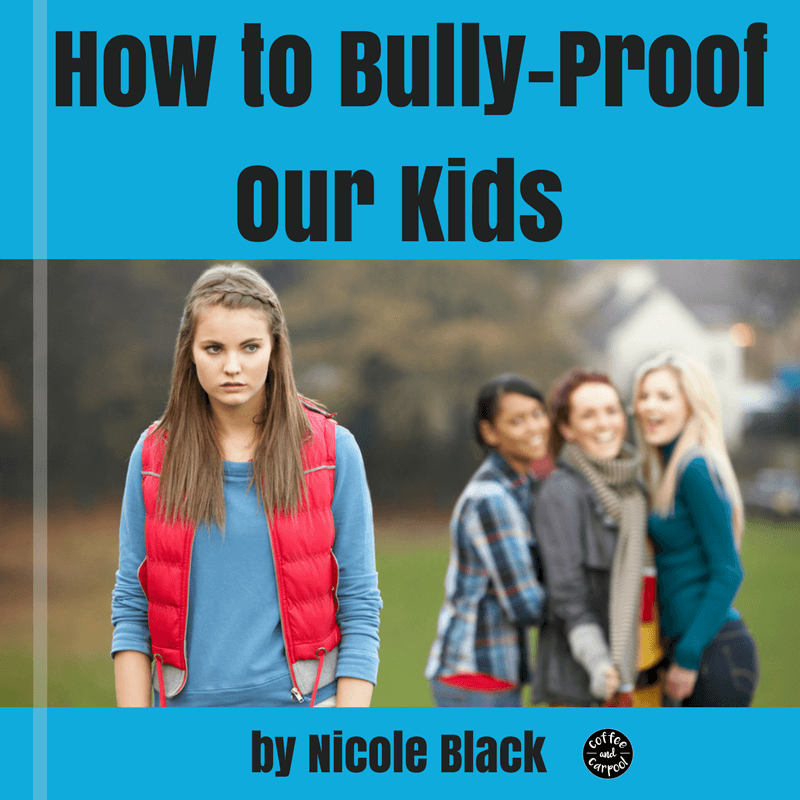 Are you wanting to Bully-Proof Your kids? My daughter is now 23 but since she has been born she has severe food allergies to peanuts, tree nuts and all other nuts. Her allergy is so severe that if she comes in contact or even smells any type of nut she has a severe reaction which includes she stops breathing. This has been a problem her entire life in school. restaurants or anyplace we go. People think its a joke and do not believe somebody can be that allergic. Food allergies are not a joke and people need to be more educated on this topic so they can understand how serious this issue is .We definitely need to start a conversation with our kids on this topic to educate them. If we do not have this conversation with them they will not be educated on this serious issue. Education and awareness are a key part of keeping our food allergy kids safe! As a school nurse, I feel that it is very important to help prevent bullying of students with life threatening allergies. The scene in peter rabbit is harmful to children with allergies as well as other children who may not realize the severe consequences of exposing someone to an allergen. Yes! Kids need to know the severity of this! Kids don’t care. Only you do as an uptight helicopter mom. My son is anaphylactic to PN and TN. I work hard everyday to make sure he is not exposed to his allergen. An EpiPen is no guarantee that you will survive a brush with your allergen. There are countless instances where the allergen won despite following an allergen plan and despite immediate medical attention. All food allergy community members know the best way to avoid anaphylaxis is to avoid your allergen and anything possibly cross contaminated. Thank you for standing up for me as an allergy mom and my 10 year old son as an allergy sufferer. Thank you for understanding my daily struggle and my son’s daily fears. Thank you for being strong enough to stand up and take ridicule from people who don’t live this life. Thank you for taking the ridicule from people who do live this life, yet have different views than we do. Just thank you, thank you, thank you. Keep your chin up and let’s keep fighting to get people to stop discriminating against this disability. Let’s stop the food allergy bullying that is killing our children. Let’s keep working together to find a treatment and a cure!!! Holy cow, you made me tear up. Such a sweet comment after a day of awful ones. I really can’t tell you how much I appreciate your words and appreciation. It means so much to me. Recently a bullied girl in NYC was hit by her attacker, in the face, with a pineapple smeared hand, after the bully learned the target was allergic to pineapple. Sadly, i don’t think boycotting will do enough (even though i won’t see it) because there will still be ones who do go to it anyway. I am shocked the movie creators even put this scene in…i saw this scene on a movie trailer a while back, and even though they didn’t show the farmers reaction, or explain he was allergic to blackberries, i knew from the nasty expressions on the rabbits faces, i wouldn’t be seeing it, nor would my 4 3/4 year old granddaughter. I commented to one of my adult sons, that it seemed awfully violent for a childs movie…how old are these movie creators? 12? I personally agree with you on the boycott. I was instead asking for a conversation to educate and spread awareness and maybe some empathy. Hopefully, the conversations are starting. Agreed! Continued education is so important! I do not believe this scene is threatening or “harmful.” My nephews saw the movie and we let them watch the show Peter Rabbit on TV. Kids now days are so coddled and protected. They need to go through some hard times and just have fun because they are KIDS. I don’t think children honestly even care about that scene. They are just happy to see a little bunny wearing pants. 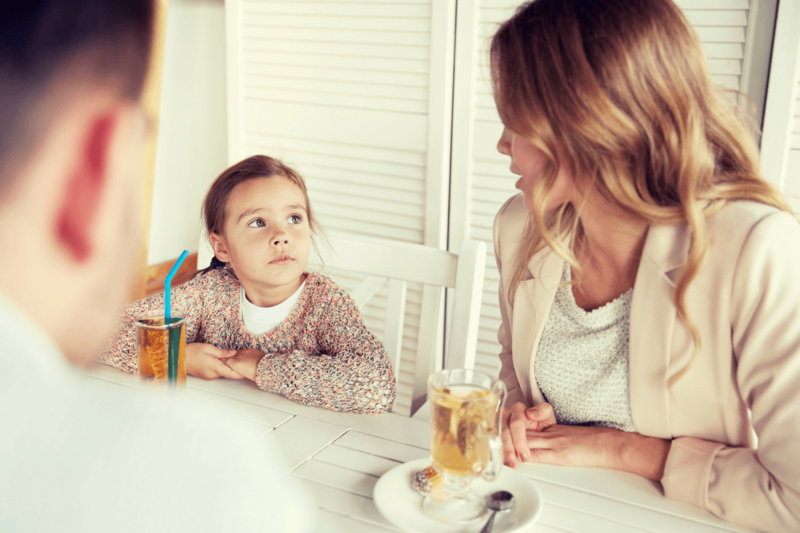 Our society today tries to solve every problem in everyone’s life and that creates the infamous “helicopter parent.” Parents just need to chill out, drink some wine, and let their kids go play outside. When I was growing up, I drank from a hose, didn’t wear a seatbelt, and breathed in secondhand smoke. I am doing just fine. Also, if all you moms out there hated the movie so much, you didn’t have to watch it. There are a billion other “safe” and “harmless” movies out there for you. So all just chill out, and let’s enjoy this amazing life God has given us. Let kids be KIDS and not be uptight parents all the time. Trina, I respectfully disagree. When we know better, we need to do better. We survived secondhand smoke and lack seatbelt laws but by the grace of God. And while I try every day to let my kids enjoy their childhood and go outside to play, certain foods can literally kill my child. So while I wish I didn’t have to be a helicopter parent and could chill out more, to keep him safe I have to pay more attention… And I really wasn’t asking people to not see the movie. I asked people to have a conversation with their kids about bullying and the importance of food allergies. I watched the movie so I was better informed. My kids did not see it. I saw Peter Rabbit twice and will see it every chance I can. I don’t have kids, but I do have severe allergies. I actually saw this in the completely opposite light. That it was a reminder to kids how important their epipens, inhalers, etc. are, and that it’s not uncommon or something to be ashamed of. I’ve had family members tell me I’m crazy that I take my epipen with me when I walk or sit outside. They laugh. They’re also not allergic to bees. I totally get it! I in no way was trying to tell people what to watch or not watch. I was simply asking parents who were taking their kids to have a conversation about the less empathetic scenes and how it is grossly inappropriate and extremely dangerous to bully anyone with their food allergies. I loved that Mr. McGregor’s nephew had his epi-pens with him. We carry them always!